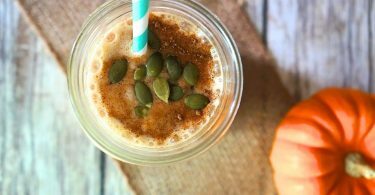 Looking for an amazing pumpkin dessert recipe? These pumpkin caramel cheesecake bites are so delicious – we love the flavor of pumpkin, it’s one of the best of the fall season! 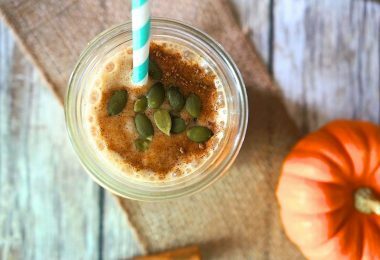 It’s my civic duty to my taste buds to savor the pumpkin flavors for the rest of the year. Since pumpkins are only around for a couple of months, I am taking full advantage! 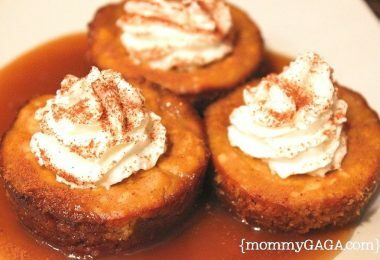 You should, too, and this caramel pumpkin cheesecake bites recipe is the perfect way to start! We had pumpkin pie for Thanksgiving dinner, and we’ll probably also have it for Christmas. I had a few cans of pumpkin puree left and decided i’d try something out with them. I remembered the Oreo Cheesecake Bars recipe and adapted it to make a smaller pumpkin caramel-ish treat. 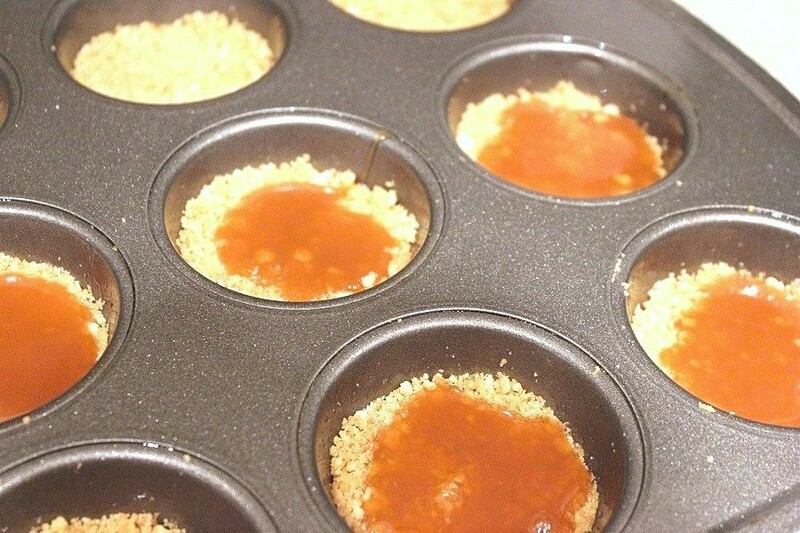 I whipped up some ingredients, made sure to give them a warm, caramelicious center and baked them in a muffin pan. OMG. These pumpkin caramel cheesecake bites. I guess you could call them pumpkin cheesecake cups because of how they’re made, and I just may I die with one of these in my mouth! Let’s get started with these tasty caramel pumpkin cheesecake bites! 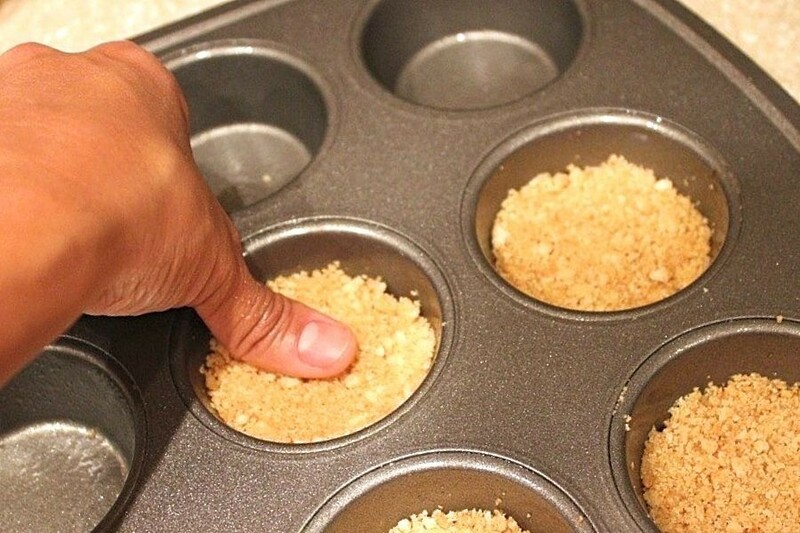 Preheat the oven to 350 degrees, grease your muffin pan with non-stick spray. Combine the crushed graham crackers and melted butter in a bowl and fill the bottom of each cup, pressing down firmly to compact and flatten. This is your graham cracker crust. In another bowl, thoroughly combine the sugar, cinnamon, cream cheese, pumpkin, and eggs. Set aside. Put one teaspoon of caramel sauce in the center of each cup, then fill the rest with the pumpkin mixture. Place these bad boys in the oven for about 30 minutes and wait. Patiently. Remove from the oven and let them cool. Loosen each one around the edges with a knife and pop them out. 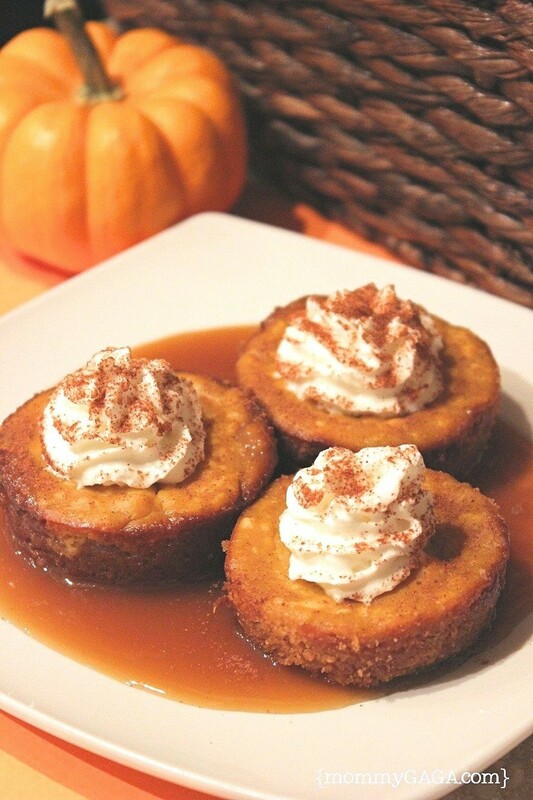 Garnish with whipped cream and a little cinnamon, and lastly, enjoy this pumpkin dessert! We love these caramel pumpkin cheesecake bites! I am definitely keeping this caramel pumpkin bites recipe on the menu every fall, I love the way these turned out! If you love these pumpkin cheesecake bites and have more pumpkin puree left over, try these pumpkin spice muffins for breakfast. We love them! Look so yummy , I’ll be trying this recipe tonight for dessert! I will be trying this recipe tonight for the family for dessert! These mini desserts look delicious! Thanks for the recipe. I wonder what they would taste like with chocolate graham cracker crust? These look amazing! 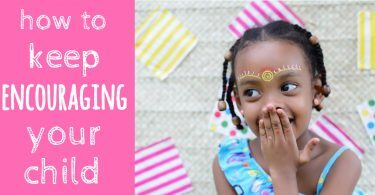 My daughter is 5, and she is really into making things with me right now, so I think we will give this a try! I NEED to try these. I make pumpkin rolls with double filling because I love them so much and there are only 2 people in the house that eats them…haha. I am one of course. Thanks for sharing! That looks so good! Definitely a nice little treat to serve at a Thanksgiving meal! I have some leftover pumkpin that I need to use and I now know what I’ll be making. Thanks for the recipe. These look absolutely delicious, I wish I would have come across this recipe a few weeks ago. I’ve pinned it for future use! 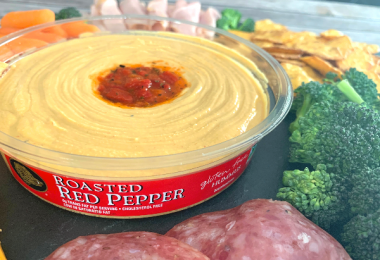 This looks like a nice change from boring pumpkin pie! I am a sucker for any kind of mini cheesecake. These look great! Could be fun to bring into the office too. This looks delicious! Love the detailed pics. Thanks for sharing.